It is very rare to be at the opening of an icon. Imagine being at the opening of the Sydney Harbour Bridge or the Sydney Opera House, the first passenger on the Manly Ferry, the first customer at Rockpool or the first person to do the Sydney Harbour Bridge Climb. 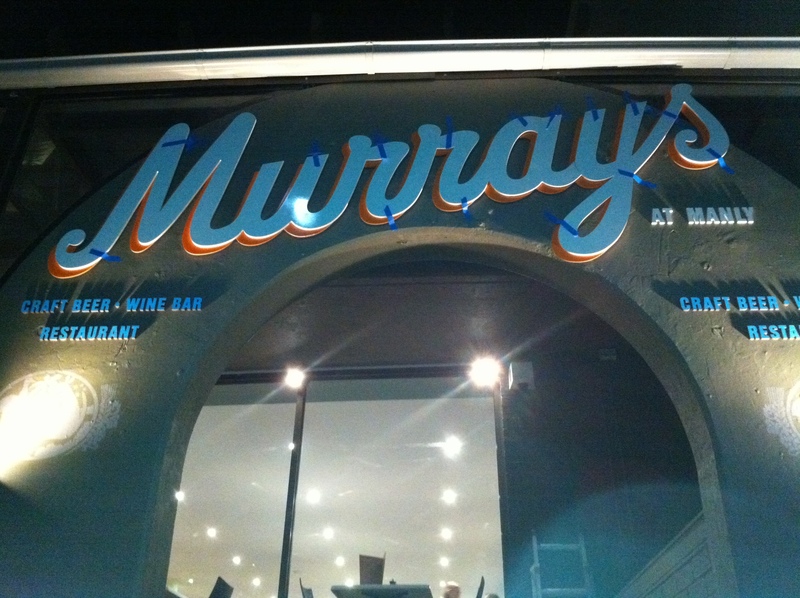 Tonight BotF was there at the debut of something equally significant – the first night of Murray’s at Manly on North Steyne in Manly. 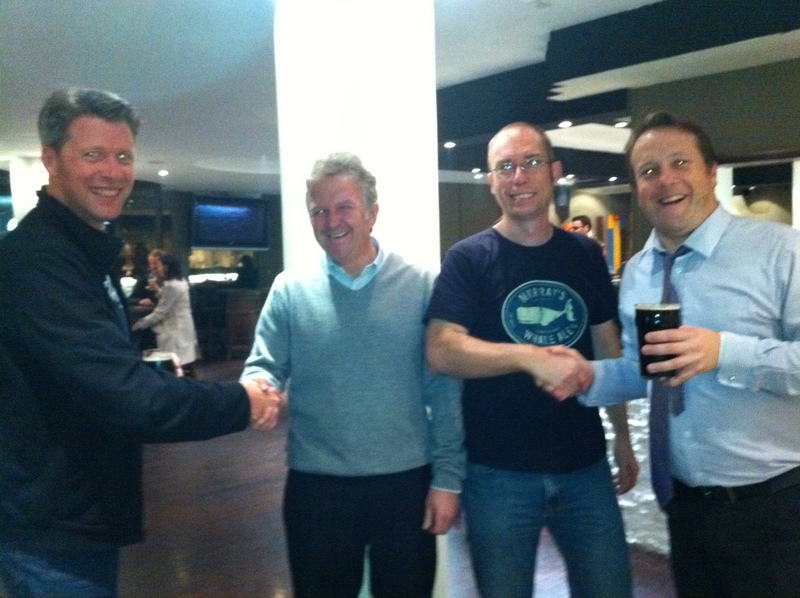 illiards and bladdamasta were very pleased to meet with Murray himself and the Head Brewer, Shawn Sherlock. We were able to do a reasonable run at the taps. Between us, we had a crack at Spartacus, Icon 2IPA, Retro Rocket, Grand Cru and Dark Knight. This is scratching the surface of what will be available. These blokes are passionate about what they are bringing to Manly, and BotF looks forward to many nights of patronage. The opening night was low key, so we were able to have a decent chat to the Head Brewer who just loves what he does and we love to drink what he does. He’s justifiably proud of the Retro Rocket (and everything else). This is a venue that has had many starters but no finishers. I reckon Murray has got the ticker in him to see this out. We’ll be back. We’d love to be stuck in that cool room. Good luck to Murrays at Manly and all that sail in it. 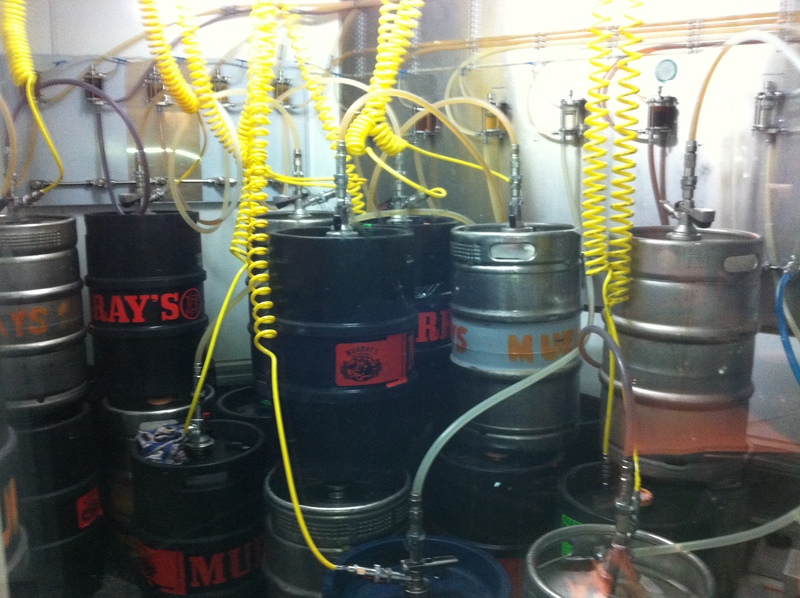 @MurraysBrewing. Being based in Melbourne there are not too many beer related things to make me jealous of Sydney – but this is definately one of them. I can only hope that their migration south continues and we get our very own Murrays in (North) Melbourne. Looks like it was a great opening Boys and what a lineup of beers already. A magnificent addition to the Manly libation options.